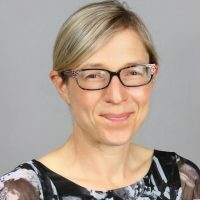 Professor Helen Tremlett, Canada Research Chair in Neuroepidemiology and Multiple Sclerosis and Professor at UBC in the Division of Neurology. Her research program is also funded through operating grants from CIHR, the MS Society of Canada, the MS Scientific Research Foundation, the US National MS Society and the UK MS Trust among others. Trained in pharmacoepidemiology and multiple sclerosis with a PhD from Cardiff University. Heads the Tremlett Lab and the Epidemiology in Multiple Sclerosis research program. Research interests include: the natural history of MS; prognosis and predictors of disease progression in MS; mortality; effectiveness of the immunomodulatory drugs (IMDs) for MS; adverse effects of the MS IMDs; pharmacogenomics; MS epidemiology; incidence and prevalence of MS; life expectancy in MS; comorbidities and MS; pregnancy and MS; impact of parental MS on childhood developmental outcomes; health administrative data; the MS prodrome; the gut microbiome and MS.